Greg, it definitely matters what languages you are choosing. All languages have own advantages and disadvantages. If you create a website in core PHP then it will take time to make it. Sametime, if you use WordPress instead of PHP than the website will be ready in very less time. If you want to handle website easily then you have to go with WordPress for sure. It is one of the best CMS ever and it also requires less maintenance. Java is the most popular programming language and ideal for two categories of users: business application developers and those focusing on mobile applications. Java programming is the best choice to develop a web application. Java is definitely the best and popular language ever. Java is also more secure than other languages. Thank you for this nice piece of article on this essential topic. it was so helpful for me. Can you let me know some good place online where I can learn web development courses. I’m currently learning through WordPress. Glad to hear Bharath that I like the article. There are tons of website where you can learn web development in free or paid as well. (Ex. Udemy, Codecademy, Tutorialspoint, w3schools, Khan Academy, Coursera and more). I hope these will help you. Nice and detailed article, Stephen. I do have knowledge of HTML, CSS, PHP, MySQL, upto some level Java.. But now I want to learn Python. Could you please let me know any good source of tutorials on Python (video tutorials) if any? I really appreciate Manu. There are lots of online sites available where you can learn java. I give you some example site like Udemy, Codeacedemy, edX.org, Coursera.org and more. Most online sites providing video tutorials only. So it will be easy to understand. I hope my answer will help you to learn python. All the best! Hi Ben, your question is vague. But as per my understanding, you asking for the coding software. 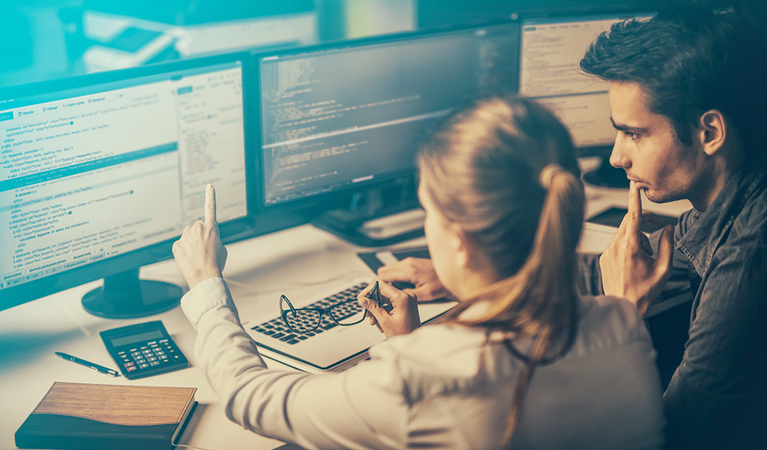 There are lots of coding software available in the market like (Sublime Editor, Adobe Dreamweaver, Visual Studio, Notepad++, android studio, And more). You can also find more specific coding software on Google. Your content is simply outstanding. As a Digital Marketing professional, I can say that people can learn a lot from you. Thanks for sharing. This is a very nice post. I like the post very much. I simply wanted to write down a quick word to say thanks to you for that wonderful information you are showing on this article. Welcome, Micheal. Hope you liked it! What is the scope for a python programmer with compared to java programmers? Python and Java, both are excellent programming languages. Both languages are widely adopted and scopes are much much higher. There’s not much comparison between both of these. Because both languages have their own advantages. Java market scope is stable currently and slowly increasing over time. Python language scope increasing very very fast as it using in AI, machine learning and data science. At the end, both are great and you can choose either.